Recent reports suggest that President Trump is torn about what to do about DACA, the de facto amnesty for so-called DREAMers instituted by Barack Obama. We understand the hesitation, since many of the beneficiaries of this amnesty have sympathetic stories, but as a matter of fidelity to our constitutional system and his campaign promises, Trump must end DACA. If we are going to amnesty an entire class of people, it should obviously be done through the democratic process and, in our view, happen only in exchange for reforms to the immigration system. DACA contravenes the elementary principle that the legislative branch ought to pass laws and the executive branch ought to enforce them. In 2012, after Congress rejected the DREAM Act, President Obama issued the policy by unilateral decree. Under DACA — Deferred Action for Childhood Arrivals — illegal immigrants under the age of 36 can apply to U.S. Citizenship and Immigration Services for deferred status. 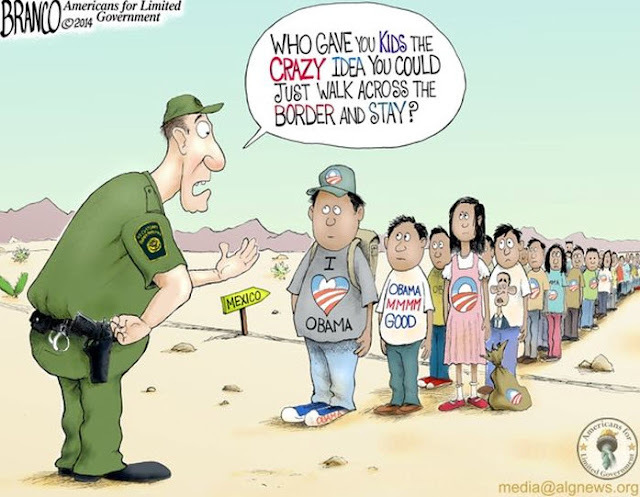 And while the Obama administration pretended the policy would be implemented via “prosecutorial discretion,” with each case considered individually, in practice, USCIS officials say, any illegal immigrant who appears eligible is granted deferred status — which comes with benefits such as a work permit, a Social Security number, and a driver’s license. More than 750,000 illegal immigrants currently enjoy this functional amnesty. Candidate Trump made ending DACA a priority, but since being elected, the president has not followed through. The politics is tricky. It is difficult to roll back this de facto amnesty after it has already been implemented. And some of the DREAMers did indeed come here at a young age and have effectively known no other country (this isn’t true of all DACA beneficiaries — the Obama policy was so sweeping that it can apply to illegal immigrants who came here as teenagers). But the most important consideration is that DACA is flagrantly unconstitutional.